Mark Augustus Landis (born 1955) is an American painter who lives in Laurel, Mississippi. He is best known for "donating" large numbers of forged paintings and drawings to American art museums. Mark Landis was born in Norfolk, Virginia. His grandfather, Arthur Landis, was a director at the now defunct Auburn Automobile company. His father, Arthur Landis Jr., a lieutenant (and later lieutenant commander) in the US Navy, married his mother, Jonita (1930–2010), in 1952. Landis was born three years later, and the family moved around because of his father's various postings. Following assignments in the Philippines and Hong Kong, Arthur Landis Jr. was posted to NATO in Europe, where the family lived in Cap Ferrat (France), London, Paris, and finally Brussels, where Landis began forging stamp cancellations for his friends. In 1968, the family returned to the United States, settling in Jackson, Mississippi. In 1971, Landis's father was diagnosed with cancer, from which he died the following year. At 17, Landis was deeply struck by the loss of his father and he was treated for 18 months in a Kansas hospital, where he was diagnosed with schizophrenia. Landis attended art courses at the Art Institute of Chicago and then in San Francisco where, among other things, he worked on the maintenance of damaged paintings. He bought an art gallery, but it was not successful, and he lost money in a real-estate investment. In 1988, he decided to return to live with his mother and stepfather, James Brantley, in Laurel, Mississippi. Before Landis left,[where?] he wished to make a gesture that would please his mother and honor the memory of his father, so he donated a copy of a Maynard Dixon illustration he had created to a California museum as an original. This first successful attempt at art forgery convinced him to repeat the feat. For more than 20 years, Landis donated all kinds of faux pieces of art to institutions in the United States, including more than 50 museums. He generally chose smaller museums, which did not have the same means of detailed analysis as the larger ones. While not all institutions were duped, the whole process went largely unnoticed. Landis even donated up to six copies of the same work to different museums. 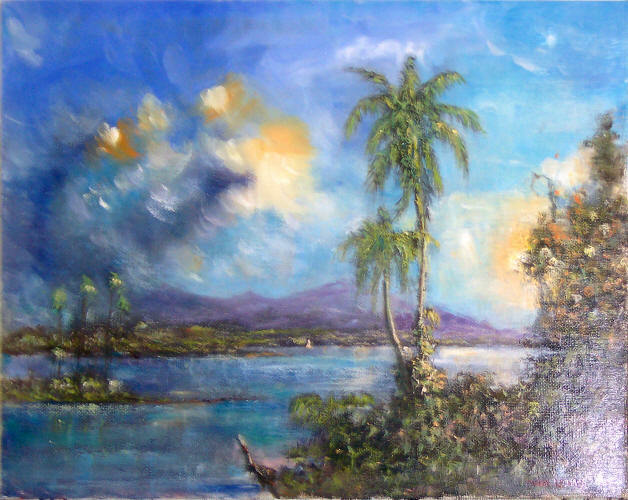 During this period, Landis also produced original pieces; some have been sold through Narsad Artworks, which sells work by artists with mental illness. 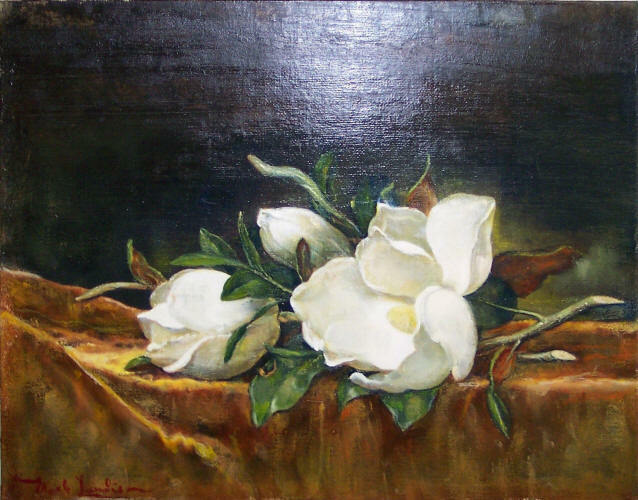 As of 2013, it was still possible to buy note cards bearing a work entitled Magnolias by Landis (which copies a work by Martin Johnson Heade without credit). Landis lived at more than 15 different addresses between 1985 and 2000. Patsy Hollister, Narsad co-founder, believes Landis probably is more bipolar than schizophrenic, with an ability to paint extremely fast. Says Landis, talking about icons: "I gave to hundreds of churches." Landis is also said to have worked in animation and advertisement. 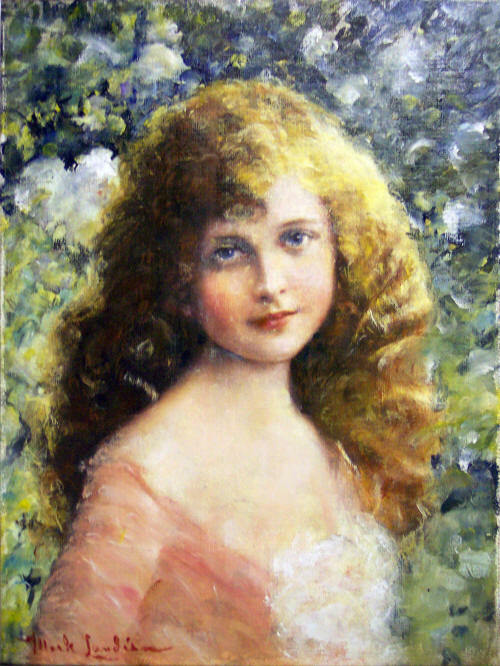 Landis' success derives not so much from the perfection of his faux artworks (sometimes a basic test exposes the forgery) as from his ability to copy all kinds of styles, his choice to imitate lesser-known artists and his ability to play the role of an eccentric but sincere philanthropist. Moreover, museums tend not to authenticate gifts as carefully as works they buy. 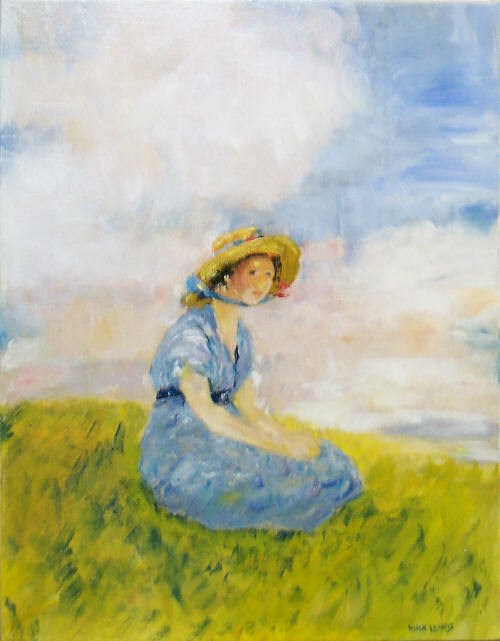 In 2007, Landis offered his copies of several works to the Oklahoma City Museum of Art, among them a watercolor by Louis Valtat, a harbor scene by Paul Signac, a self-portrait by Marie Laurencin, an oil painting by Stanislas Lépine, and a drawing by Daumier. The registrar, Matthew Leininger, investigated the pieces and discovered a very similar Signac had been offered to the SCAD Museum of Art. A press release had even noted the donation of the same Signac, Avery and Laurencin. It also provided Mark Landis's real name. Leininger investigated further, and discovered Landis had tricked more than 60 museums in 20 states, using a number of aliases including Stephen Gardiner, Father Arthur Scott (a Jesuit priest), Father James Brantley (his stepfather's name), Mark Lanois (one letter different from his own name), Martin Lynley, and John Grauman. Leininger warned other museums, providing available photos of Landis. At this stage, the investigation remained confidential. In September 2010, Landis went to the Paul and Lulu Hilliard University Art Museum in Lafayette, Louisiana, under the identity of Father Arthur Scott. 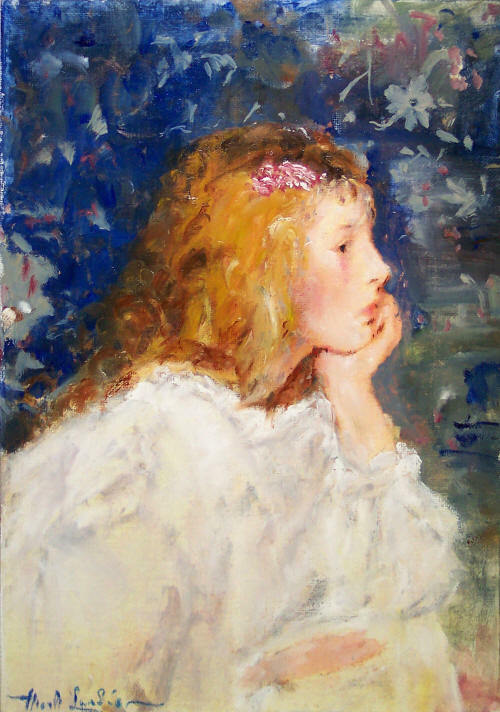 He donated a painting by Charles Courtney Curran, citing the loss of his mother. The museum director, Mark A Tullos Jr., asked registrar Joyce Penn to check out the painting. When Penn examined it under ultraviolet light, the colors glowed suspiciously. In addition, a microscope observation showed a dot-matrix pattern, hinting that it was a photocopy of the original which had been projected on a board and then painted over. Penn dug deeper and linked up with Leininger's investigation. In November 2010, The Art Newspaper published a comprehensive article on the matter, inspiring other publishers such as the Financial Times to follow suit. Despite these exposés, Landis has continued his forgeries intermittently, with attempted gifts in November 2010 to the Ackland Art Museum (as Father Arthur Scott); in September 2012 to William Carey University (as Martin Lynley); and in October 2012 to several southern museums (as Lynley and as John Grauman). It appears that in donating forgeries to art museums, Landis has not actually broken any laws, even though his activities were clearly deceptive. If he had sold the work to museums or taken a tax deduction on them, he might have fallen under federal art crime statutes. But the fact that he did not gain economically from his actions (apart from a few gifts from curators), and the fact that he addressed his donations to specialists who had the expertise to detect his forgeries but did not, protected him in the eyes of the law. No legal action has been opened against him to date (as of 2014). As one art crimes expert put it: "Basically, you have a guy going around the country on his own nickel giving free stuff to museums." The damages of his 'gifts' is however estimated to be around 5 million dollars. Both Tullos and Leininger wished to put an end to Landis's career as a forger, but could not. So Leininger and Aaron Cowan, director of the DAAP Galleries at the University of Cincinnati, set up an exhibition to address the general matter of art forgery, and specifically expose Landis's works. They collected some 60 pieces by Landis, who provided his "Jesuit priest" costume and some of his art books as well as attending the reception as guest of honor. Entitled "Faux Real", it took place in Spring 2012 at the Dorothy W. and C. Lawson Reed Jr. Gallery, University of Cincinnati. The organizers also set up a short video featuring Landis' most relevant paintings. Landis is the subject of the documentary Art and Craft, directed by Sam Cullman and Jennifer Grausman and co-directed by Mark Becker. It premiered at the Tribeca Film Festival in 2014, and was acquired by Oscilloscope Laboratories for North American distribution. The film focuses on Landis's personality, his history, his forgeries and the process he goes through to create and donate them. The film also features Leininger and Cowan. The documentary had its television premiere on September 25, 2015, on the PBS program POV. ^ Gapper, John (January 21, 2011). "The Forger's Story". The Financial Times. Retrieved January 26, 2012. ^ "Appointments To New Offices" (PDF). Schenectady Gazette. January 3, 1934. p. 9. Retrieved January 4, 2012. ^ a b c d e f g h i j k l m n o p q r s t Wilkinson, Alec. "The Giveaway", The New Yorker, August 6, 2013. ^ a b c d Gapper, John (January 21, 2011). "The forger's story". Financial Times. Retrieved April 4, 2012. ^ a b Hyde, Jesse. "Art Forger Mark Landis". Maxim. Retrieved April 4, 2012. ^ a b "Moi, Mark Landis, peintre, faussaire et philanthrope". Le Point (in French). ^ "Magnolias, note cards". Narsad Artworks. Retrieved April 4, 2012. ^ "Meet the Artists". Narsad. Retrieved April 4, 2012. ^ a b Stoilas, Helen (November 11, 2010). "'Jesuit priest' donates fraudulent works". The Art Newspaper. Retrieved April 4, 2012. ^ "SCAD Museum of Art Announces Significant New Donations From Mark Landis" (Press release). Design Taxi. June 30, 2008. Retrieved April 4, 2012. ^ Kennedy, Randy (January 1, 2011). "Elusive Forger, Giving but Never Stealing". New York Times. Retrieved April 4, 2012. ^ "Authentication in Art List of Unmasked Forgers". ^ Cornwell, Lisa (March 30, 2012). "Paul And Lulu Hilliard University Art Museum Plays April Fools' Joke On Prolific Forger". Huffington Post. Retrieved April 1, 2015. ^ Cornwell, Lisa (March 30, 2012). "Prolific forger Mark Landis is target/subject of April Fool's Day exhibit in Cincinnati". cleveland.com. Associated Press. Retrieved April 1, 2015. ^ Wilkinson, Alex (26 August 2013). "The Giveaway". The New Yorker. Retrieved 19 August 2013. ^ "Art andCraft; What's it to catch a fake? ", accessed October 8, 2014. ^ Miranda, Carolina A. 'Art and Craft': "The life and times of Mark Landis, devoted art imitator", Los Angeles Times, September 23, 2014, accessed October 8, 2014. 'Art and Craft': "The life and times of Mark Landis, devoted art imitator"
Interview with Landis for BBC Outlook. 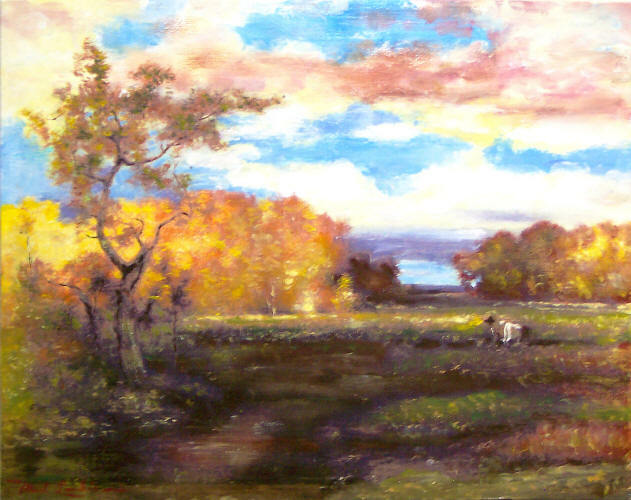 Matthew Leininger blog, "On the Trail of an Art Forger"
Mark Landis' Website: Set up for him by friends to help him secure original commissions, with proceeds to benefit mental health concerns. This page was last edited on 16 February 2019, at 11:39 (UTC).